When Apple introduced a smaller iPad Pro on Monday, vice president Phil Schiller didn’t mince words when he discussed which customers Apple is targeting with the product, along with its 12-inch sibling. 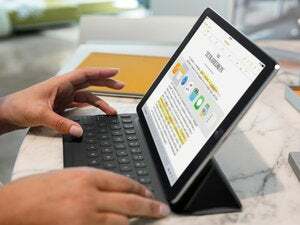 “When [users of old PCs] see the features and performance and capabilities of a product like the iPad Pro, designed for the modern digital lifestyle, many of them will find it is the ultimate PC replacement,” Schiller said during a press conference on Apple’s campus. It’s unlikely that Microsoft executives are quaking in their boots, however. Apple’s position is clear: Windows is the past, and there are plenty of people with old PCs who are ripe for being turned into iPad users. Schiller said that Windows was designed for a world before the Internet, app stores, and social media. What’s more, he said that there are more than 600 million PCs that are at least five years old and still in use. But it seems unlikely that Apple will manage to commandeer massive swaths of the Windows user base. Businesses appear to be doubling down on Windows with massive, earlier-than-expected rollouts of Windows 10, while consumer interest in iPads appears to be waning, not growing. Enterprises, which are in a position to make large-scale purchases of devices like iPads and Windows tablets, are usually slower to adopt things that they aren’t familiar with. IDC Vice President Lauren Loverde said it’s still easier for businesses to manage Windows devices than ones running iOS. That may lead companies to stick to the platform they’re comfortable with. As Gillen pointed out, people with old PCs may not be in the market for an iPad anyway, since they likely already have some newer device that they’re using as well. Even if all those millions of old PC users were to leave Windows for iOS, it wouldn’t be a complete disaster for Microsoft. 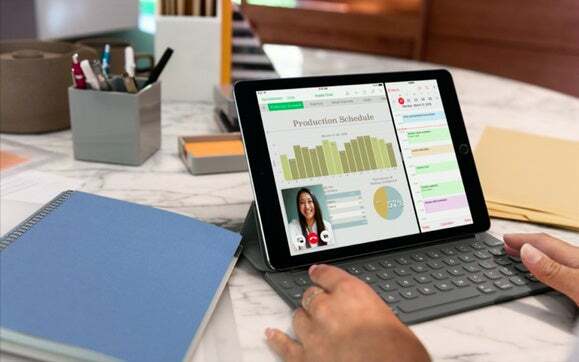 One of the tenets of Microsoft’s strategy under Satya Nadella is that it’s trying to make its products more broadly available, so it’s still making money from people who use Office 365 on the iPad Pro, along with applications powered by its Azure cloud services. And there’s also another outstanding question: how many people actually want a new iPad these days? Apple’s financial results over the past year have shown continually shrinking iPad sales. The company still sells millions of tablets every quarter, but sales aren’t as good as they used to be. Apple is far from doomed in the tablet market, but interest in the iPad has, objectively, cooled. And Windows tablets have the benefit of being appealing to companies that want to upgrade aging technology but still rely on legacy applications built to run on Windows. If there’s one arena Apple still has an advantage, it’s with consumers who want to make sure their tablet has dedicated mobile apps built for it. Schiller touted that the iOS App Store has over a million applications for the iPad, a not-so-subtle dig at Microsoft’s Windows Store, which is growing, but still missing key applications. Get ready for Microsoft to fire something back at Apple next week, when the company holds its Build developer conference in San Francisco. It’s not yet clear what the folks from Redmond have up their sleeve, but odds are good that the Windows Store and Windows adoption in general will be on the menu.